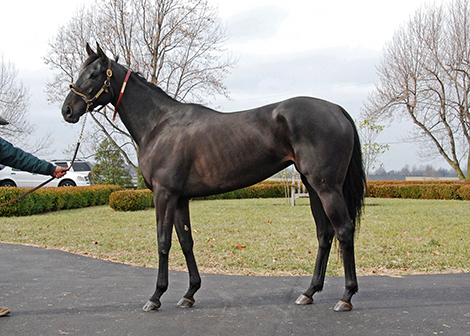 Lexington, Ky. – Her name means “power,” and in four starts the seal-bay filly they call Potesta exuded just that. 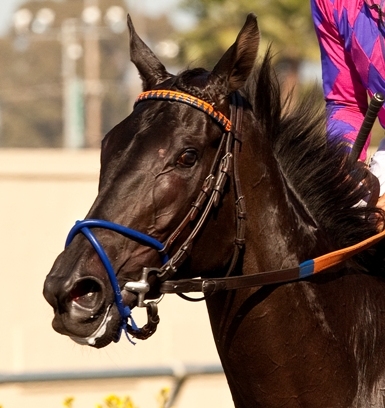 After a runner-up finish in her March 22 debut, she took the Hollywood Oaks (gr. 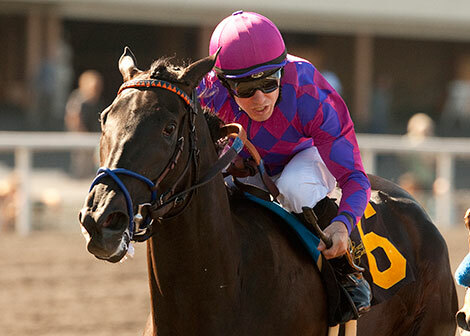 II) off a maiden score, set a track record while blazing a mile in 1:34.86 in the Torrey Pines Stakes at Del Mar, and was prepping for a start in the Zenyatta Stakes (gr. 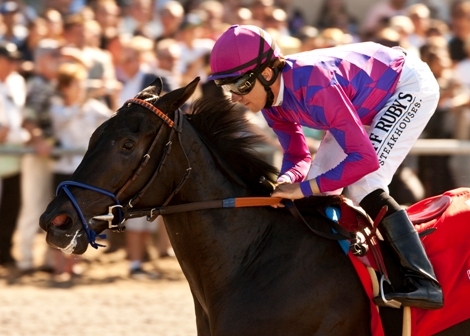 I) with her connections flying high on the possibility of a Breeders’ Cup Ladies Classic (gr. I) run. They thought she could win it. But here’s the thing about racehorses and horse racing in general: not much goes according to plan. And so it was that 80-year-old owner Joe Scardino found himself listening to the news no one connected to a promising Thoroughbred wants to hear, standing at home in California on an early Friday morning in September as Mitchell worked with vets to stabilize the 3-year-old daughter of Macho Uno, who had fractured her left foreleg in a training accident. Compound fractures such as the one Potesta sustained – where bone breaks through the skin – are tough to repair in humans, let alone horses. Thousand-pound animals aren’t good at standing on three legs for long. Infection can set in. And where racehorses are concerned, it takes a special patient to survive such an injury. 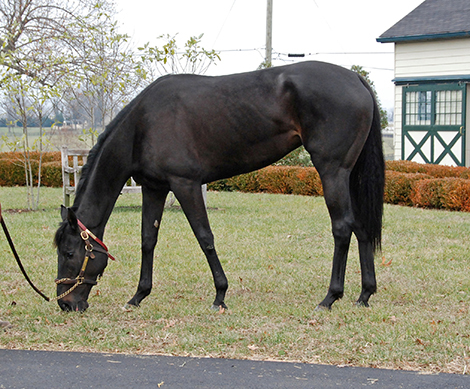 Bred to run, conditioned to levels of peak athleticism, Thoroughbreds put on sudden hold are prone to complications and, if they manage to survive surgery, can further injure themselves during the lengthy recovery process. The prognosis is always grim. Still, there was something remarkable about Potesta, the star of Scardino and Fanticola’s then-two horse stable. As doctors at Alamo Pintado Equine Medical Center worked to stabilize the injury, which was high above the ankle, she complied perfectly. Scardino and Fanticola, who have been partners for the past 15 years, are purely in the racing business, and don’t maintain breeding stock. At the time of Potesta’s injury, their only other contender was Breeders’ Cup Mile (gr. IT) runner Obviously, who finished third behind Wise Dan and Animal Kingdom. The owner said saving the filly at all costs was a top priority after her injury. Rounsefell made multiple trips to Alamo Pintado to monitor Potesta's progress. She recovered well enough to ship to Three Chimneys Farm near Lexington, where she will be consigned to the Keeneland January Horses of All Ages Sale as hip no. 134. "The whole way through, we just wanted the best thing for the horse," Rounsefell recalled. "It was incredible how quickly she healed, and when they took the final x-rays the doctor gave the all-clear to leave and come to Kentucky. The actual injury site itself looks fantastic. It's quite remarkable that the whole thing only happened a few months ago." Rounsefell said Potesta's untapped potential, a career cut short by injury, could live on in her foals. "When you look at her from a physical standpoint, you’ll struggle to find a better type at the sale," he remarked. "She’s got size and scope and she’s correct and you’d struggle to put a hole in her, really. She’s just a first-class type. She had that freakish ability and nobody really knew where it would end." This update on Potesta, bred in Kentucky by Maynard Farm and B.A. Man out of the Furiously mare Katzen, was issued for the benefit of the many racing fans who followed her brief but illustrious career. "There were always people coming around the barn, sort of fans wanting to see if they could give her a carrot or take a picture with her," Rounsefell recalled. "She did have a following, that’s for sure. 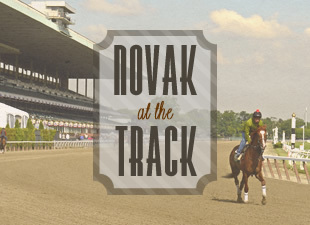 For a filly that only had a couple of starts, she struck a chord."